At the end of this year, a musical theatre icon will leave the West End. While Les Miserables  will continue to run on Shaftesbury Avenue in a slimmed-down, slicked-up touring version, the much-loved original staging is to close for good. 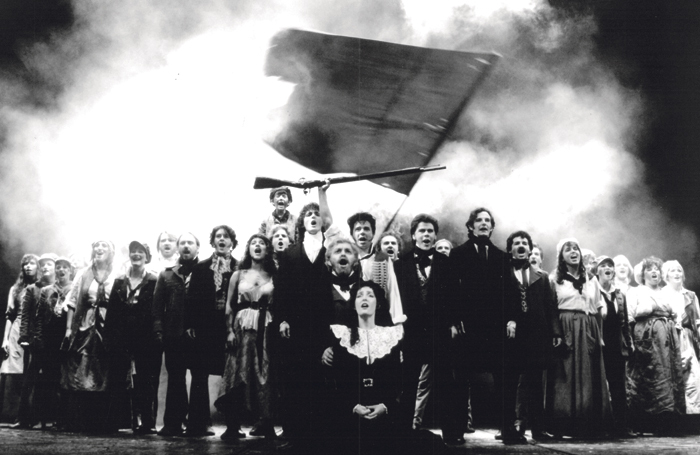 As well as Trevor Nunn  and John Caird ’s visionary direction, Les Mis became legendary for its extraordinary design, based on a revolving stage and its awe-inspiring barricades. For John Napier , the man who designed the show that opened in 1985, the loss of the original production inspires something akin to grief. It is grief mixed, it’s fair to say, with a splash of bewilderment and a heap of frustration. Napier, who won a Tony award for that design, is at pains to say he does not want to appear petty, or seem “churlish” towards the show’s producer Cameron Mackintosh , who took the decision announced last month. 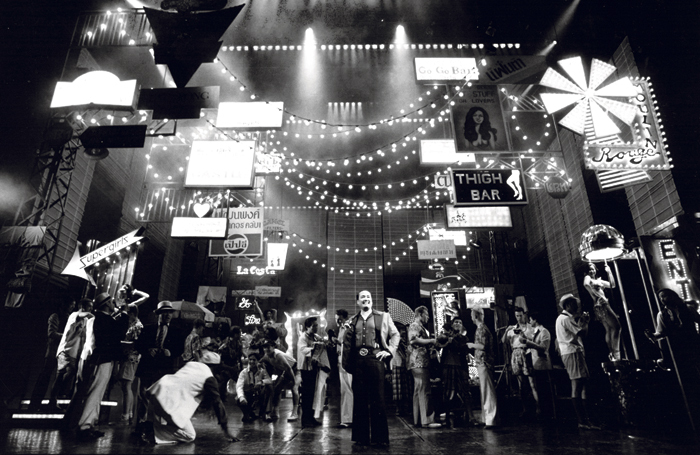 But as an era in musical theatre comes to an end, it’s clear he wants to have his say. “I have made an enormous amount of money from these three Cameron Mackintosh productions [Les Miserables, Miss Saigon  and Cats ] over the years, but clearly there was something going on in Cameron’s mind where he was not satisfied with what we did originally on Les Mis. And once again he’s turned it into sort of another Oliver! ” When he describes it as “another Oliver!” he explains that he feels many of Mackintosh’s “revitalised” shows are “formulaic as opposed to out-of-the-box and radical”. Napier continues: “My grief about that, if there is such a thing as grief with someone tinkering with a show, it is that it led Les Mis down a path that felt a bit backwards, into some sort of era of stage cloths and people pushing things on from left and right… The thing about the original is that it’s much simpler and more organic than the other production.” In losing the original’s simplicity, it has lost some of its beauty, he feels. The 74-year-old designer found out that his staging of Les Miserables would finish in a letter from Mackintosh last year. But the seeds were likely sown when the new touring production began in 2009. At that time, Napier was keen to know what the financial implications would be for him when the new version began to tour. As it stands, when the new version opens in London, Napier will make nothing from it. Napier studied art at Hornsey College of Art in the early 1960s, before studying theatre design at the Central School of Arts and Crafts under Ralph Koltai . After graduating, he became an associate designer for the Royal Shakespeare Company  and worked on productions of Macbeth, The Comedy of Errors, King Lear and Hedda Gabler there. At the National Theatre  he worked on shows including The Party, starring Laurence Olivier in his final performance at the Old Vic, and Equus. 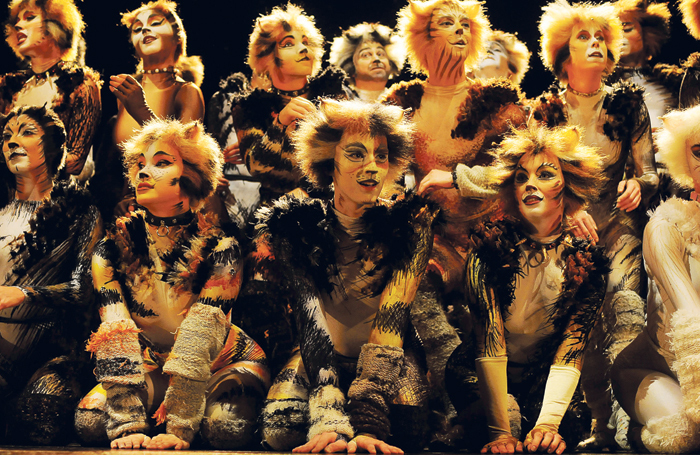 Andrew Lloyd Webber ’s Cats marked his first foray into musical theatre, followed by Starlight Express, before Les Miserables and Miss Saigon came calling. Napier, modest though he is, feels he and a handful of other designers at the time “changed the dynamic of theatre”. He says his style has always been anything but pretty. “If you look at the three big shows I did with Cameron, almost all of them are in a territory that is kind of grim. Cats, because it’s TS Eliot, I put in a wasteland. Les Mis was in Paris, and I made it gritty and grey and dull – deliberately so the performers would stand out.” He adds: “It’s the slicking up of stuff that I object to. I believe, as Peter Hall once said, that really great theatre has a rough edge to it.” He adds that the newer Les Miserables has “something more colourful about it – and I don’t think the story needs that”. 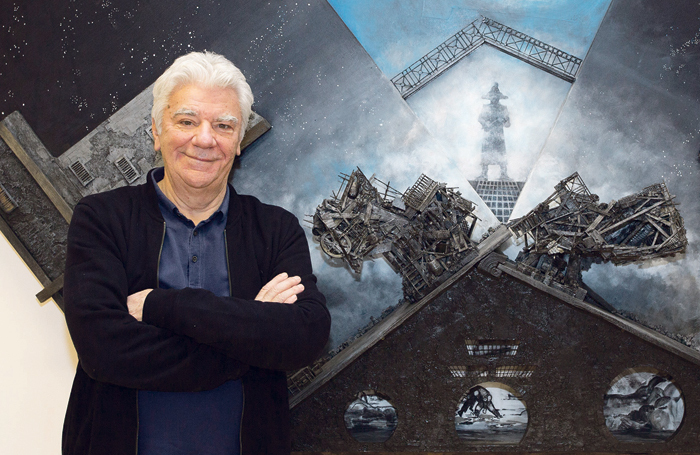 When he was designing the original Les Mis in the early 1980s, he and Nunn took a trip to Paris. Together, they listened to the music and read the book. Nunn felt the production needed “motion”, which led to the creation of the now-legendary revolving stage, which gives the musical a “dynamic that is sculptural and not painterly” according to Napier. He isn’t alone in his love for the revolve. When news of the original production’s end was announced, there was uproar from fans of the musical, who were sad to see Napier’s design leave the West End. A petition was set up, urging Mackintosh to retain it, which has attracted several thousand signatures. “I find it interesting that people have observed or felt that the original production, in some way, has more gravitas,” he says, adding: “It’s truer in a way to the spirit of Victor Hugo. 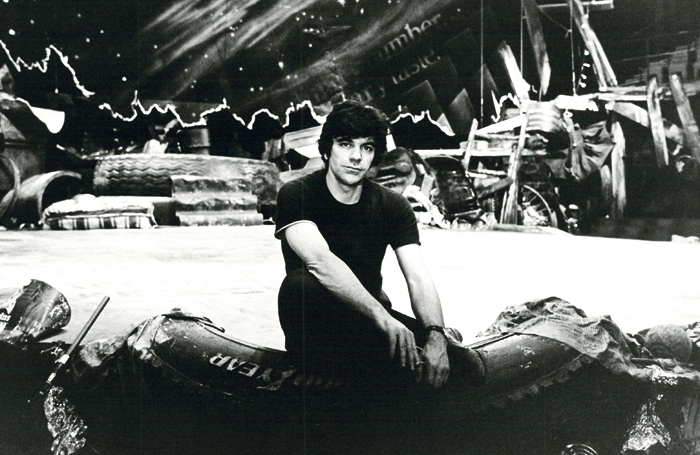 Trevor and John did an enormous amount of work with the writers Alain [Boublil ] and Claude [Schonberg]  on restructuring it, to create something rather unique in its day.” Nunn and Caird’s production has an “epic quality”, he adds, with a sense of “movement and travel”. Napier is disappointed, to say the least, that Mackintosh failed to consult him on the newer show. “Having worked on the three productions that have been the furnace of his engine – what has become a multimillion-pound organisation – it would be nice if you were asked [to work on the new] interpretation, and not your assistant,” he says. That assistant was Matt Kinley, the designer of the new show , who worked in Napier’s studio for many years and “got jolly well paid for doing it”. Napier continues to have a good relationship with Lloyd Webber. 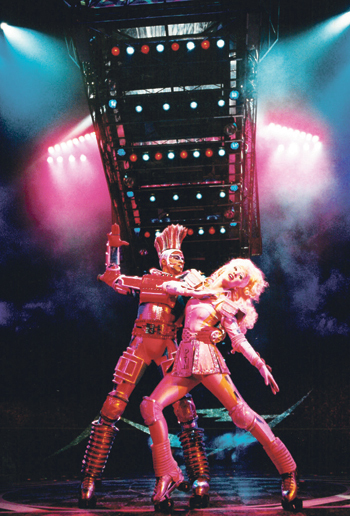 It started with Cats, and went on to include Starlight Express, Sunset Boulevard, and a Jesus Christ Superstar revival. As an aside, Napier shares a story about his hand in the iconic Cats poster, a pair of cats eyes on a black background with dancers for pupils, created to launch the musical when it opened originally in 1981. About a month before the show was due to open, the creative team, along with Mackintosh and marketing company Dewynters, assembled to look at the poster options for the show. Nothing was suitable – “There were pink pussycats walking into the distance with question mark tails” – so Mackintosh asked the marketing team to come up with something else. Napier says he received a call from Robert De Wynter, “in distress” and asking for clues as to what the show included. So Napier told him the show had a revolving stage, and that cats appeared out of tunnels at the beginning wearing LED glasses, to give the illusion of cats eyes. “I think it should be something you know is a cat, but you can’t see it. You’re not giving any literal dimension to it,” Napier told him. In a career that included working on some of the most iconic musicals of recent times, Napier has plenty of stories to share. But it’s doubtful he will have any new ones about Mackintosh; he doesn’t think it likely they will work together again. “That is not to say there is any great animosity, but he clearly does not like my style,” Napier says. Theatre is fantastic and it’s been my life. Comradeship is the most important thing about it, working with other people rather than being alone in a studio. Now I choose to be in a studio, and it’s hard to sit with a blank piece of paper without a script to refer to. He’s clearly incredibly passionate about what he does. Sometimes he’s over-passionate, and sees it partly through a prism that is, quite frankly, 1950s theatre – his boyhood. The designer also reveals that, before the updated Les Mis began touring, he told Mackintosh he was not interested in doing new productions, but that he would always be available to revisit old ones. “Having worked on three of the longest-running musicals in the history of the 20th and 21st centuries, I felt it was time to hang up my boots and hand the baton to the younger generation,” he says, adding that he feels a duty to give emerging designers the chance to work on shows. None of that will be Napier’s concern, however, and for now, he’s happy concentrating on his own art work. He’s hoping that an exhibition about his career, which went on display in Eastbourne in 2015, will make its way to London and is also writing an autobiography – though as he’s dyslexic, he says this is proving harder than he thought.